NEW YORK — Amazon's rise is forcing laundry detergents to shrink. Tide is putting its detergent into a cardboard box, making it 4 pounds lighter than its 150-ounce plastic bottles, but still able to wash the same 96 loads. Seventh Generation went with a compact plastic bottle that's less than 9 inches tall, rectangular in shape and has no measuring cup. The downsized detergents are a sign of Amazon's growing influence. Companies that have designed products for decades to stand out on store shelves are now being pressured by online retailers to make their packaging lighter to cut down on shipping costs, said Gary Liu, vice president of marketing at Boomerang Commerce, which makes software for consumer goods companies. Amazon, for example, may drop products from their website that costs too much to ship and aren't making it enough money. Retailers decide how much to charge shoppers, but both Tide and Seventh Generation say they expect the lighter detergents to cost the same as traditional ones. Tide says its Eco-Box has 60 percent less plastic and uses 30 percent less water in its soap than its 150 ounce bottles. The boxed detergent doesn't need to be packed in another box: online retailers can just slap an address on it, another way to save costs. 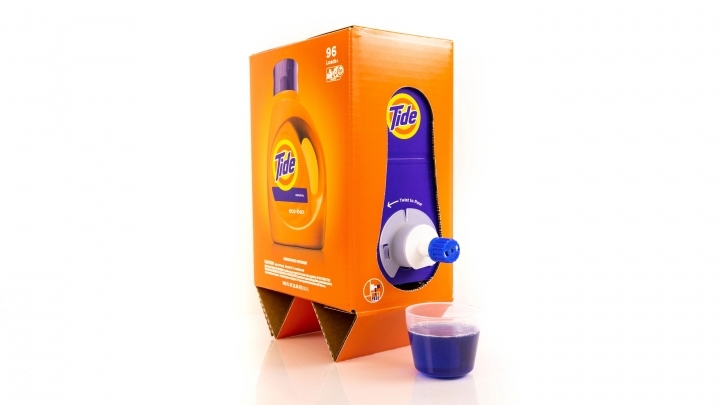 Tide, which is owned by Procter & Gamble, says the boxed detergent will be sold at online retailers next month, and it will still sell its traditional bottles. To make sure the new bottle could withstand delivery, it was sent to a laboratory that mimics the vibrations of Amazon's warehouse conveyor belts, the bumps of a delivery truck and any accidental drops by warehouse workers, said Jerica Young, Seventh Generation's senior packaging engineer. Leaky detergents are not only a pain for shoppers — they can also be expensive for retailers. 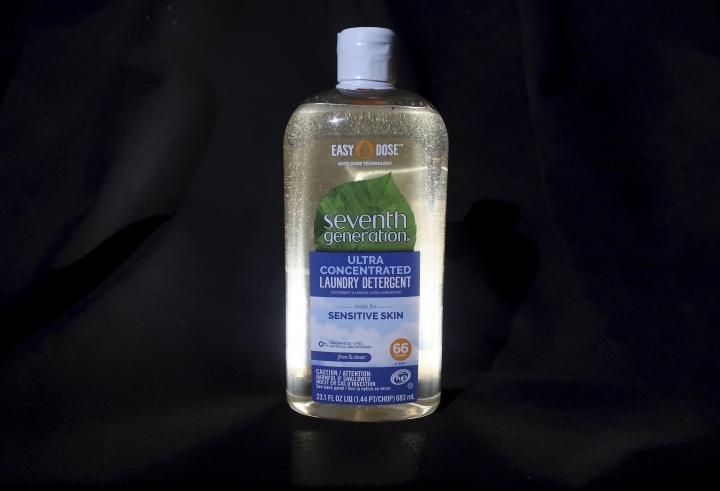 Ken Day, who usually orders detergent online, said a traditional bottle of Seventh Generation detergent that he bought this summer showed up at his Quincy, Massachusetts, home with a loose measuring cup. After he complained, the retailer replaced the detergent, as well as the two other items that were in the box. "Changing people's behavior is always a challenging thing to do," Bergstein said.